SXSW Music is this week, and that usually means a slow music release week. 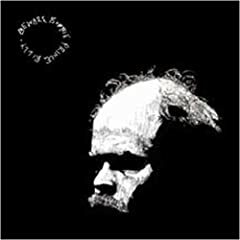 As with every Will Oldham release, I will be scurrying down to my local music store tomorrow morning to pick up his latest Bonnie Prince Billy album, Beware (and finally replace the annoying promo CD sent my way last month). I plan to pick up the Nick Lowe greatest hits 2-CD release, Quiet Please: The New Best of Nick Lowe as well as Willie Nelson's Naked Willie tomorrow. From what has already been sent my way, I can strongly recommend An Horse's Rearrange Beds, Black Joe Lewis's Tell 'Em What Your Name Is!, Sara Lov's Seasoned Eyes Were Beaming, White Lies' How to Lose My Life, and Wavves' Wavvves. The week's reissues are highlighted by four Scott Walker remastered albums. Boy Child 67-70, Classics & Collectibles, Sings Jacques Brel and Tilt. What new releases can you recommend? Have I left anything off the list? The Love Willows: Hey! Hey!